We are excited to announce that this year we are going PAPERLESS with our MENUS! Parents will be able to access menus instantly! Parents and students can see exactly what’s being served while offering nutrient calculations and allergen filtering capabilities. Our online menus are interactive, accessible and easy to use. Allergen Filtering - Allows parents and students to quickly and easily filter allergens with the click of a button. Build-a-Meal - Select menu items to view total nutrition information, calculated by the software, to monitor nutrients. Mobile App - Provides anytime, anywhere access for parents and students with the My School Menus mobile app for smartphones. Visit www.healtheliving.net to get started or click on the image below. 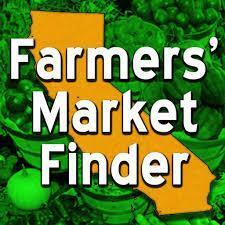 to find the closes Farmers' Market near you!